I grew up in Beverly Hills and it has been a tradition to visit The Witchs House on Walden Drive. The house was built for the movies originally and was then transformed into a private residence. The house is a landmark, its a Beverly Hills destination, the only one not consumer driven unlike Rodeo Drive and others. The house itself looks like a stereotypical witch house straight out of a fairy tale. The house has a magical aura. I first learned about the house when my mom and I drove by it when I was a toddler and she explained that it was a magic house with fairies as residents. As a toddler it seemed perfectly logical that fairies would live in a house that looked like that, with this wave-like undulating sides, pointy roof, and moot. As I got older though and learned the reality about the house it still remained somewhat legendary to me and still does (along with all my friends who underwent the same sort of transformation). My mom remembers that The Witchs House was put on the market about 10 years ago and the hired real-estate agent bought it. The agent bought the house in order to preserve the house so that no one would tear it down- its a historic piece of the city. 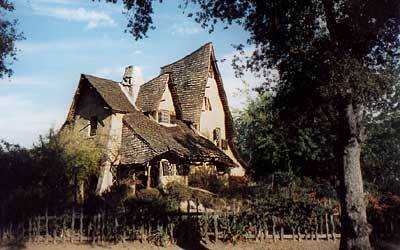 The Witchs House is a legend of Beverly Hills and all the residents know the house and its story. It is still around and talked about because generations of residents feel a connection to it.